Game of Thrones actor Kit Harington refused to reveal any spoilers from the show’s final season, not even to his co-stars, in his debut Saturday Night Live (SNL) monologue. Missing his distinguishing Jon Snow beard, Harington took questions from the “audience members” Emilia Clarke and John Bradley, who play Daenerys Targaryen and Samwell Tarly. Harington’s wife, Rose Leslie, whom he met on the show as his on-screen wife, Ygritte, didn’t want to know any spoilers, just how they were going to make money now Thrones had finished. The fictional Night King, portrayed by SNL actor Pete Davidson, asked “do people hate me” and whether he and Harington could still be friends. The hit US show’s parody sketches included Thrones crossovers such as Cersei and the City, and Game of Thrones: Special Victims Unit by executive producer Dire Wolf. 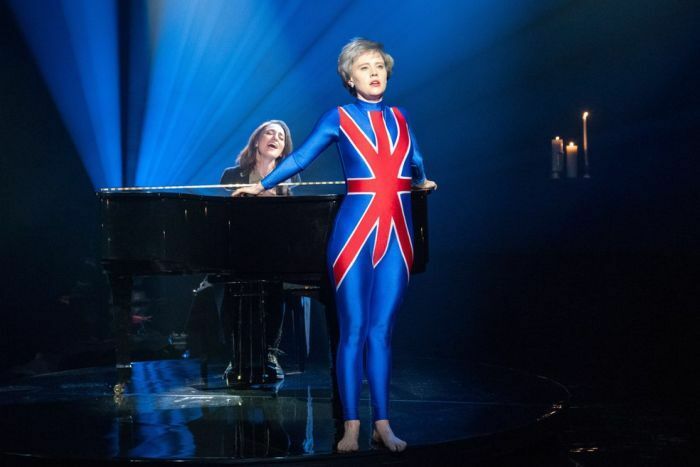 SNL poked fun at Theresa May’s Brexit in a parody with comedian Kate McKinnon as the embattled UK Prime Minister, sporting a cropped grey wig and patterned blouse. Set to Sara Bareilles’ bittersweet song She Used to Be Mine, McKinnon’s Mrs May dances with and kisses Harrington as wartime leader Sir Winston Churchill. The video ends with May solving Brexit and “saving Britain” — before waking up on her sofa. Game of Thrones’ final season premieres in Australia on Monday, April 15.